Home→The Creative Side→Crafts→Bag It 2! In Bag It! 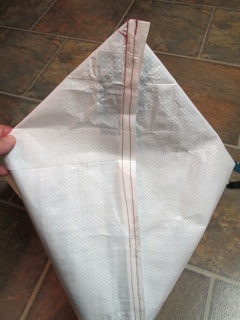 I showed you how to cut out a feed sack in anticipation of making a fun shopping bag. Then, I ran into J., who showed me a quicker and easier way instead of what I WAS doing. I’ll show you both ways… and hopefully, you won’t get too confused. 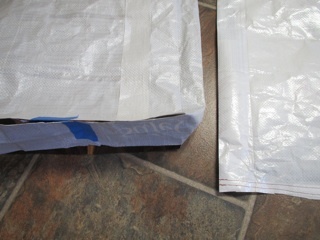 Go ahead and cut your feed sack into what resembles the bottom half of the letter H. Turn it inside out and wash. Fold in the legs and tape them into place. You can pin them if you want, I just had tape handy! Once you’ve got them in position, sew the overlapped area together. Stitch the long seams twice. Since I wasn’t using heavy duty thread, it seemed only right to double stitch! The handles are made 2″ wide and as long as you like them! Some people like long handles to throw the sack over your shoulder… others prefer to carry them by their sides. I folded them into 1/3 and stitched along the length. 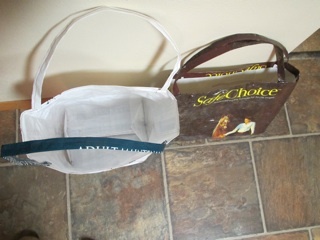 One bag I sewed the handles twice, which makes them stiffer. Sew the handles on wherever you like… I like mine at the “corners”. Zig zag back and forth for strength. 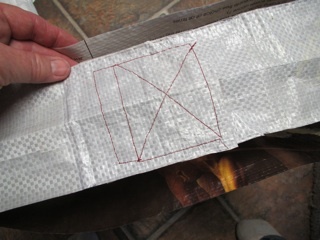 Then fold the top edge down. Now fold it down again. That gives you a nice clean hem. 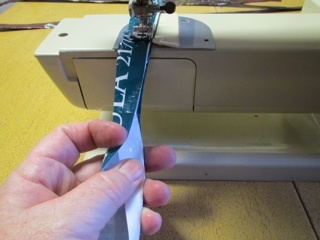 Sew into place, making sure your handles get sewed in the “UP” position. 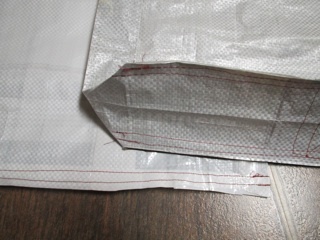 Be careful not to break a needle while sewing through the handles and doubled over bag edge… it’s THICK! 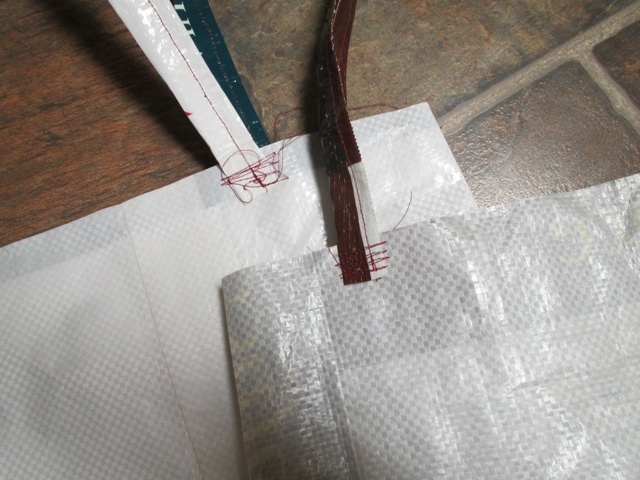 Cut the bottom seam off of your bag. Turn it wrong side out and wash.
Here’s the cool thing about J.’s design. 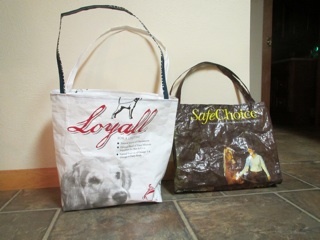 If you want to make a wide bag, you just sew farther up along the side! I’m making this about equal to a grocery paper sack. 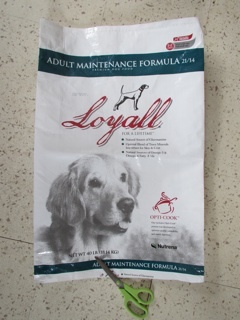 Sew closer to the point and you get a narrower bag. 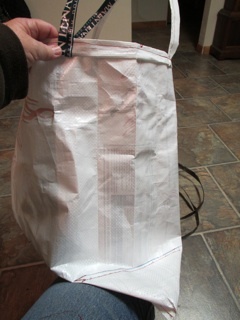 Farther away from the point… a fatter bag. Get it? Do your handles the same way… and, voila!